Marvel’s Frankenstein Monster was originally set in the 1800s but they were considering bringing the monster into the present. 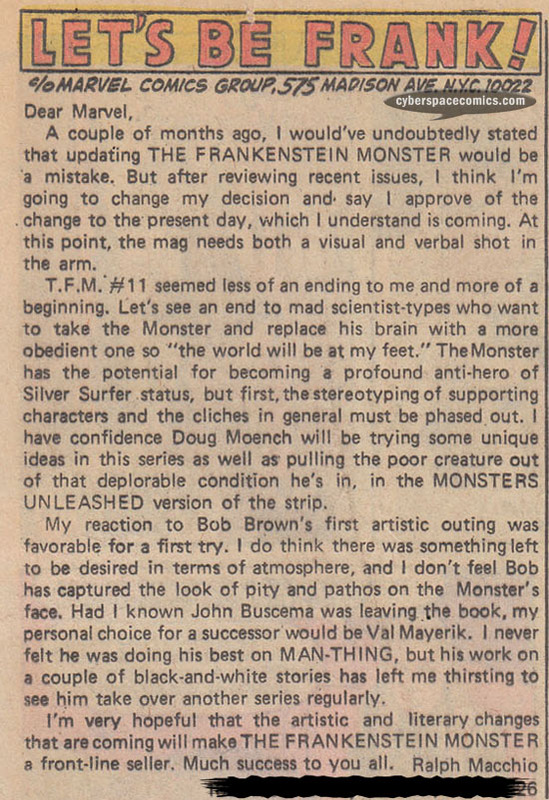 Then-future comic book editor, Ralph Macchio, got a letter printed in Frankenstein Monster #13 (cover date – November 1974), changing his opinion on the matter. Ebay has initiated strict photo rules, recently. As of July 1st, all pictures must be at least 500 pixels (on the longest side) and the first picture in a listing cannot be a stock photo. If a listing does not meet these requirements, it will not be able to be listed or re-listed. With this in mind, I expect the number of listings to continue to decline.